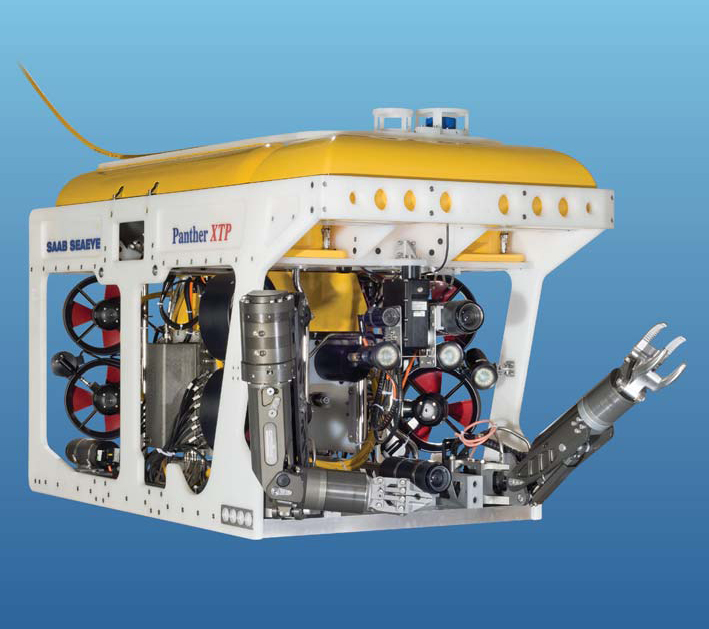 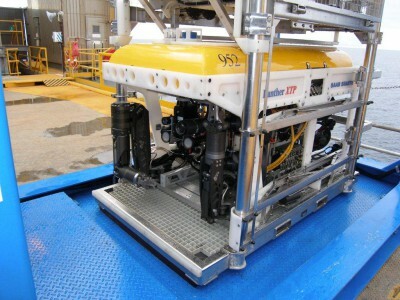 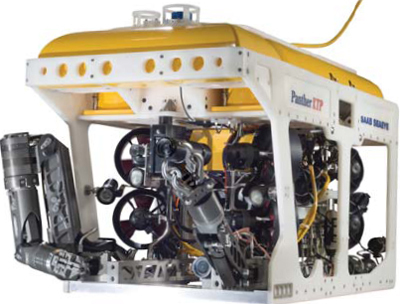 The customisable Seaeye Panther-XT Plus is designed as the benchmark for electric work ROVs and challenges heavier and more costly hydraulic vehicles, particularly where deck space is at a premium.Thanks to its 500V eight horizontal thrusters and dual power supplies, the Seaeye Panther-XT Plus benefits from exceptional handling and with speeds over 4 knots boasts a high power to weight ratio to that of its rivals yet maintaining an observation class footprint. 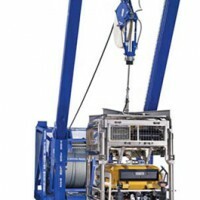 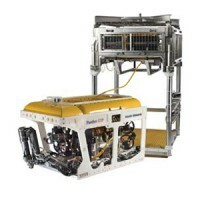 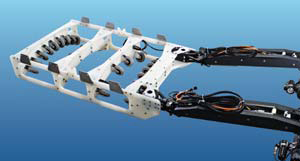 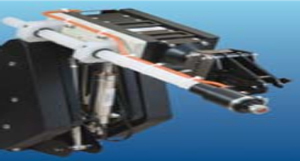 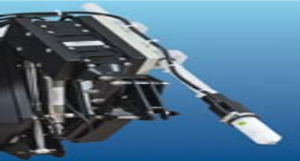 This high power ROV is capable of accommodating Schilling Orion manipulators as well as a wide range of sensors and interchangeable heavier duty tooling packages. 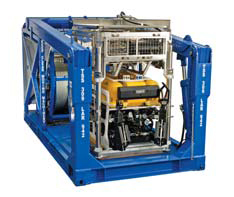 The Seaeye Panther-XT Plus is highly suited for work tasks including drill support, pipeline survey, salvage, cleaning, dredging and IRM to depths of 1000 metres. Air transportable Seaeye Panther-XT Plus systems are also supplied for intervention and life support tasks in support of rapid response submarine rescue. 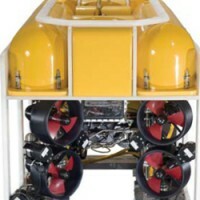 The extremely rugged polypropylene chassis with a stainless steel lift frame is totally maintenance free, non-corroding and self-supporting in seawater. 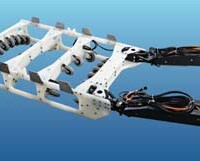 Additional equipment can be bolted directly to the chassis for customisation. 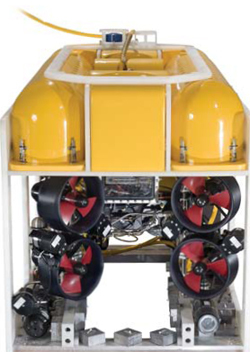 The two electronics pods provide most of the Panther-XT Plus’s buoyancy. 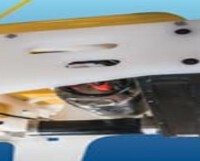 Additional buoyancy is provided by shaped syntactic foam blocks. 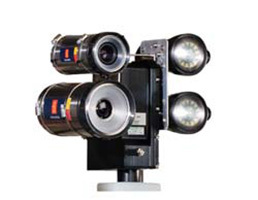 Eight vectored horizontal and two vertical brushless SM7 500V DC thrusters provide full three-dimensional control of the Panther-XT Plus. 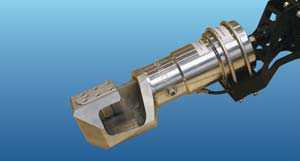 A magneto-resistive compass and a solid-state rate sensor are provided, for superior azimuth stability. 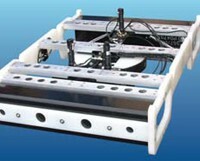 Custom interfaces and configurations can be provided. 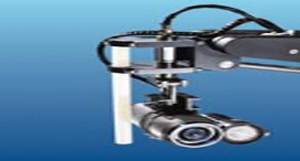 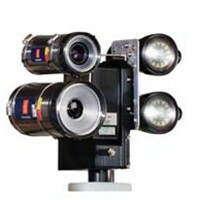 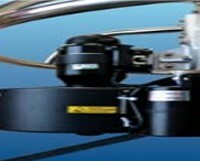 The robust high-torque pan & tilt unit can accept two cameras and lights. 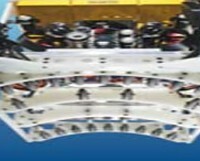 The pan & tilt angles are displayed graphically on the video overlay. 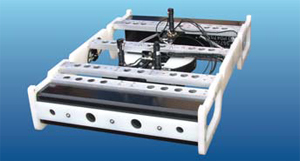 The Panther-XT Plus is fitted with four long-life LED lights (on two individually controlled channels). 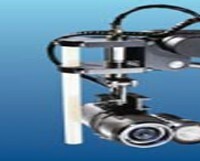 They provide excellent illumination with very low power consumption and are very robust. 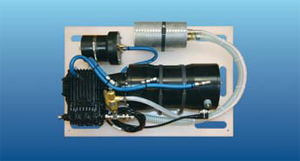 All vehicle electronics are mounted inside two watertight pods fabricated using hard-anodised aluminium and high grade carbon fibre composite materials, fitted with leak and vacuum alarms. 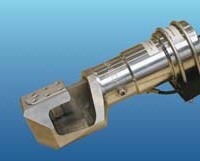 The Seaeye Panther-XT Plus uses Seaeye’s field proven range of metal shell connectors. 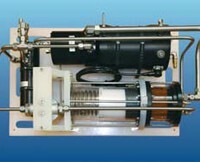 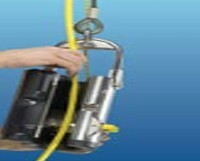 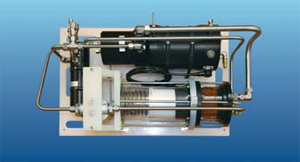 The tether is electrically terminated in an oil-filled and pressure compensated vehicle junction box and mechanically supported by a cable-grip. 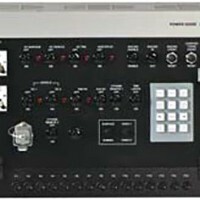 Surface control equipment can be either installed directly in the customer’s facility or integrated into a custom ISO control cabin. 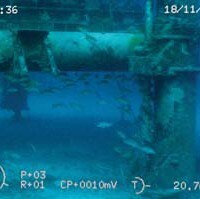 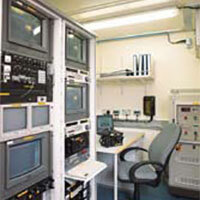 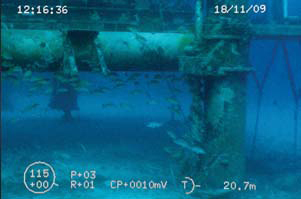 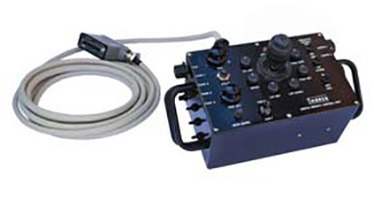 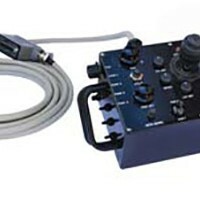 A telemetry monitor unit allows the ROV data (heading, depth, etc) to be displayed on a PC and/or exported to a survey computer, and is also a useful fault diagnostics tool. 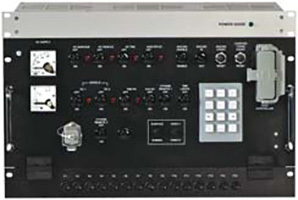 A rack-mountable keyboard is supplied for entering data and free text onto the video overlay. 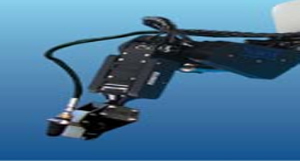 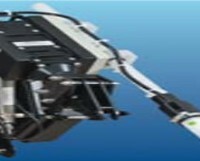 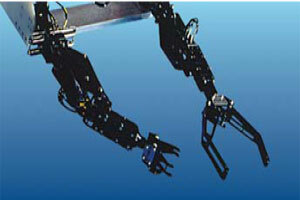 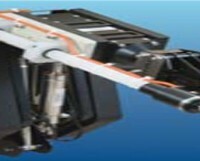 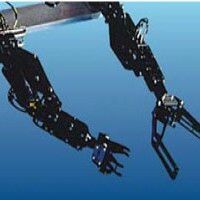 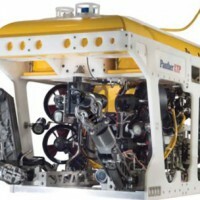 The hand control unit provides remote control of the ROV (propulsion, tilt platform, lights, autopilot functions, etc). 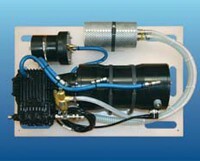 The Panther-XT Plus utilises a dual power supply arrangement to drive the additional thrusters. 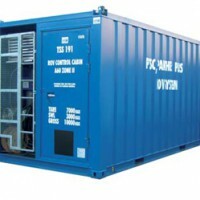 These power supply units incorporate protection devices, interlocks and cooling fans. 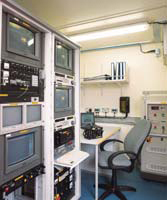 Safety features include both AC and DC Line Insulation Monitors (LIMs) which constantly monitor electrical leakage in the system (with trips and alarm indicators) and test the isolation of the system. 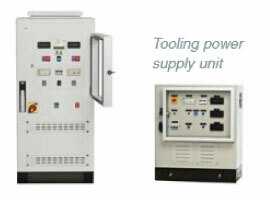 These units provide a 3-phase 660V or 1 kV power supply at the vehicle for optional tooling, such as cutters or water jetting systems. 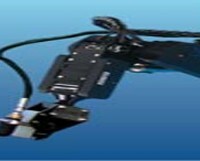 At the surface the umbilical cable is terminated inside a lockable cabin junction box, which also contains the fibre optic multiplexer(s) for transmission of the data and video signals. 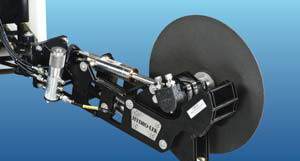 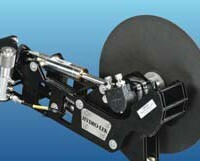 The Panther-XT Plus incorporates an interchangeable tooling facility. 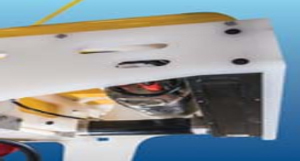 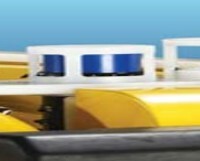 Dedicated tooling sledges can be easily fitted for rapid turnaround between dives, equipping the ROV for a diverse range of operational tasks. 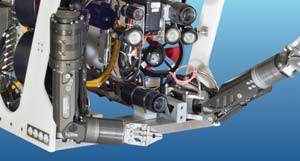 For work at greater depths, in higher currents and for faster travel to and from the working zone, as well as greater protection of the vehicle through the splash zone, it is usual to deploy the Panther-XT Plus with a TMS. 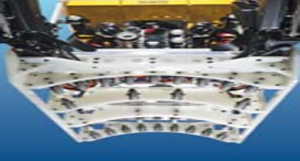 A snubber-rotator assembly allows the TMS to be locked into position and rotated for a safe and smooth transit through the A-frame (optional). 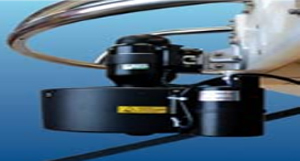 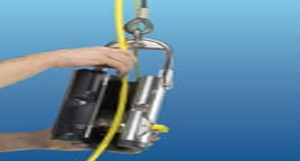 The Seaeye Panther-XT Plus can also be operated in a free-swimming configuration (without a TMS) with up to 600m of soft umbilical, usually fitted to a winch. 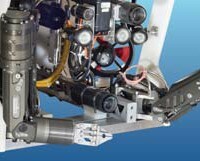 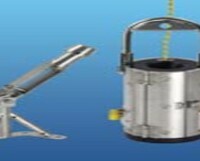 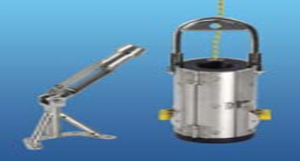 The Seaeye stainless steel TMS type 8 uses a bail arm to spool up to 200m of tether on and off a drum controlled by the ROV pilot. 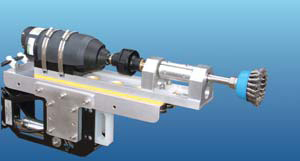 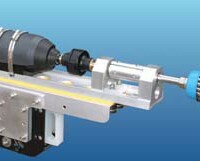 The TMS height can be adjusted to accommodate different tool skids. 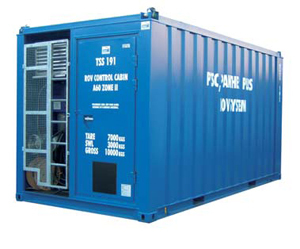 Custom-built control cabins, workshops and storage containers are offered in both Safe Area and Zone 2 ratings and can be tailored to suit customer-specific requirements. 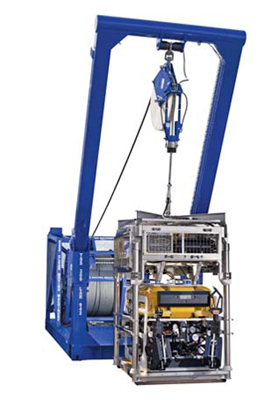 A range of different configurations and winch sizes are available to accommodate different cable lengths and applications. 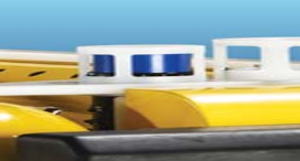 All our LARS are available in Safe Area or Zone 2 ratings. 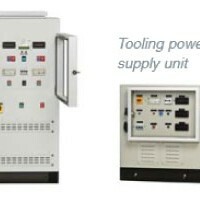 The surface control equipment and power supplies can either be installed directly into the customer’s facility or integrated into a custom ISO control cabin. 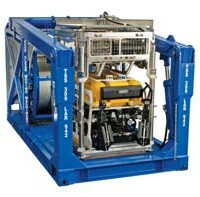 An A-frame, hydraulic power unit and winch with an armoured lift umbilical is the most commonly used launch and recovery system. 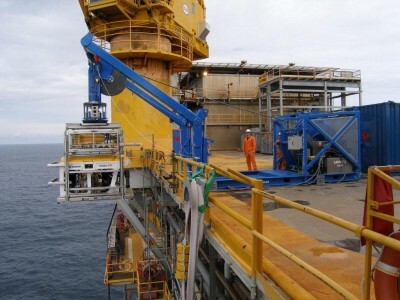 Its standard ISO dimensions and low height transit position facilitate transport operations.When deck space is at a premium, crane based systems can alternatively be used.